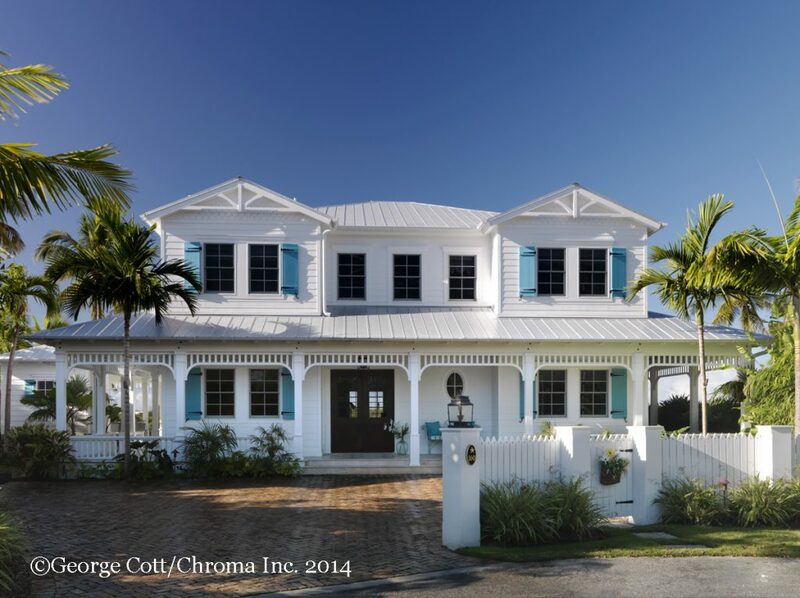 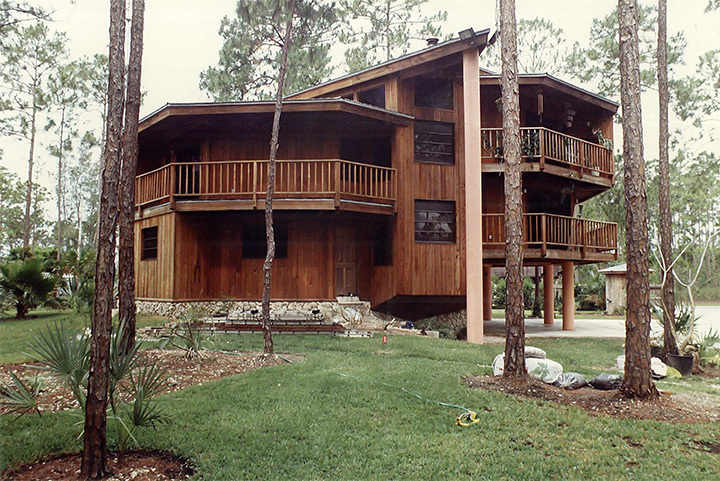 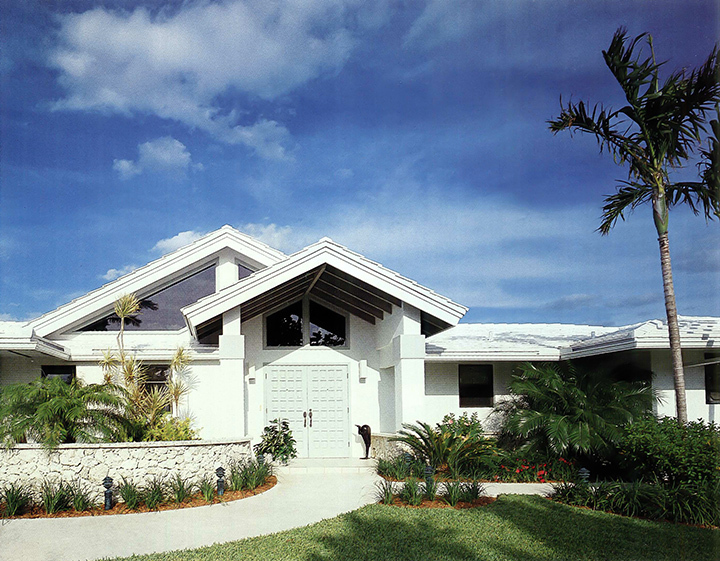 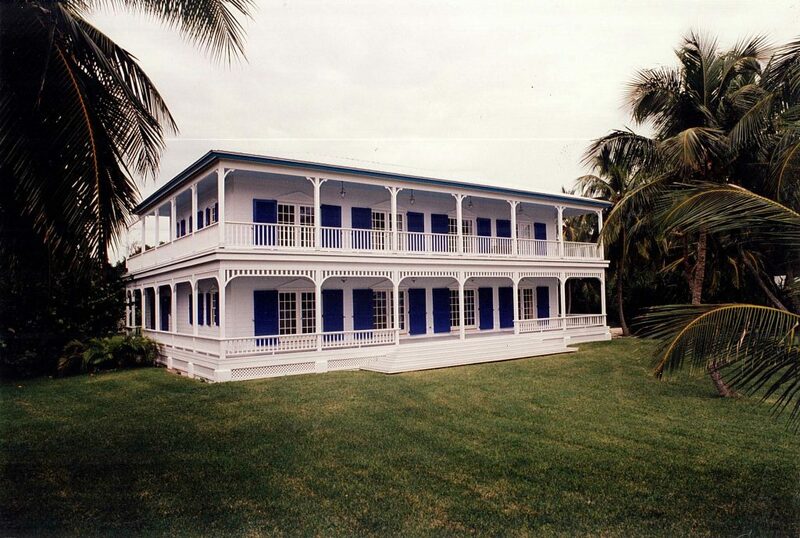 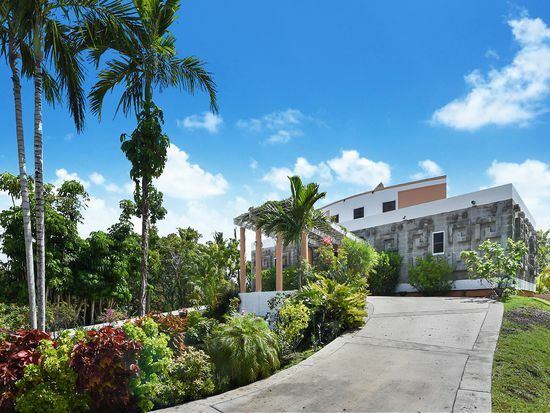 Laura Point Home is situated on the point of land facing Barnes Sound and situated to protect its inhabitants from the busy overseas Highway. 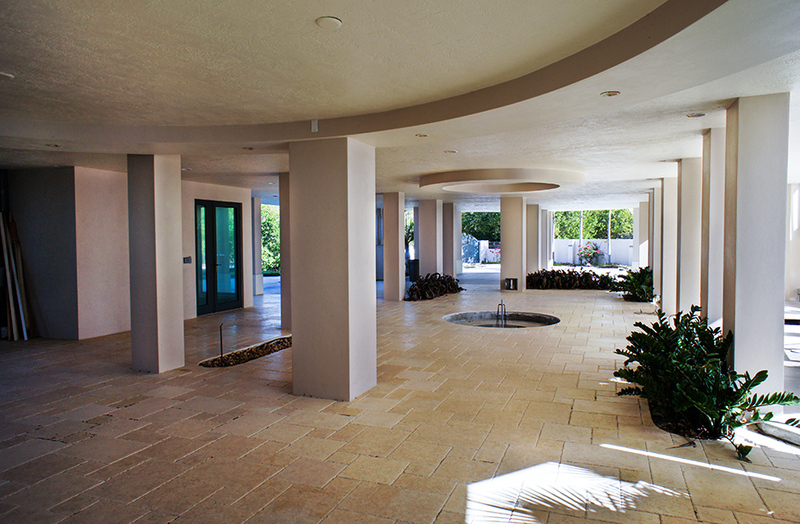 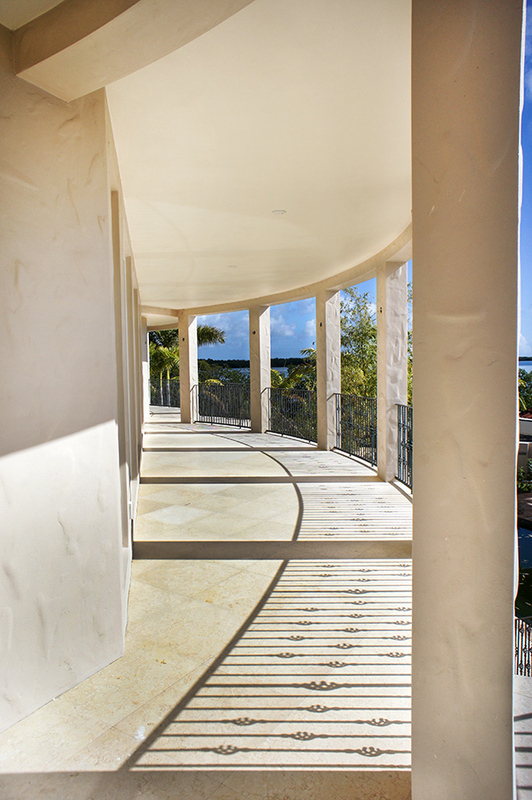 Robert Barnes designed the home with concrete and round hipped roof book ends with an elliptically curved living area and water facing balcony creating a sense of excitement and subtle tension between the two circular book ends of the home. 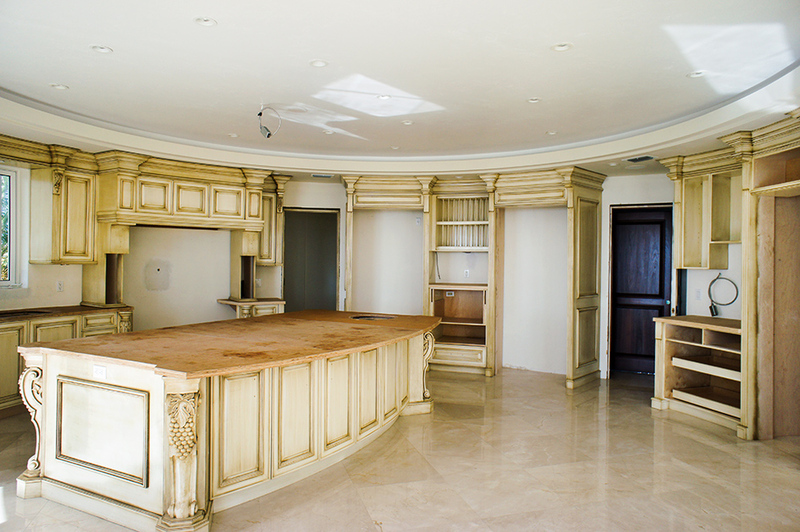 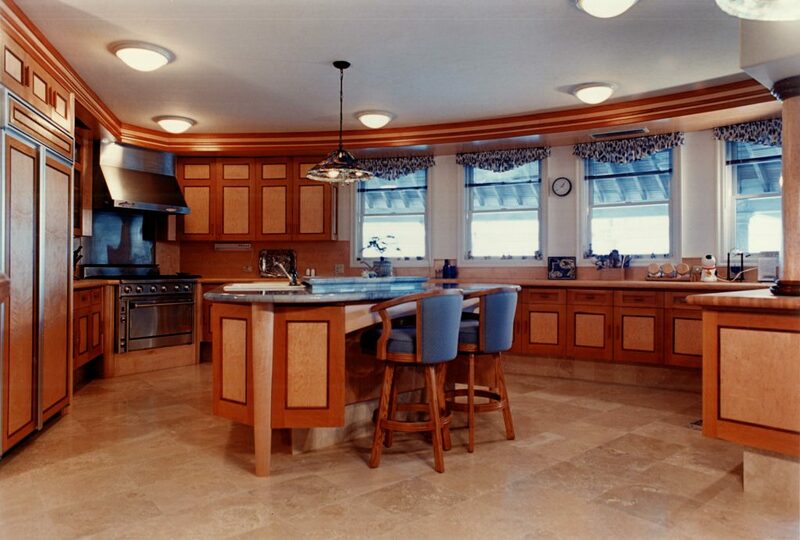 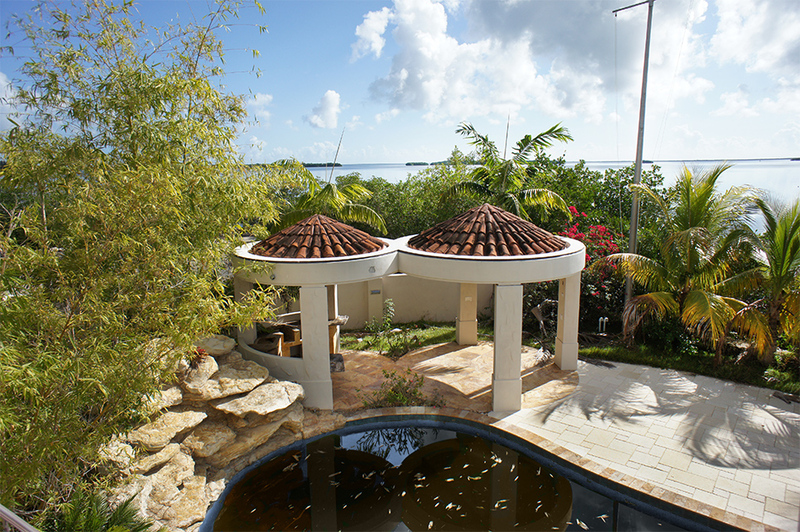 The Master Bedroom and the large Guest Bedroom along with the Kitchen are housed in the two circular book ends. 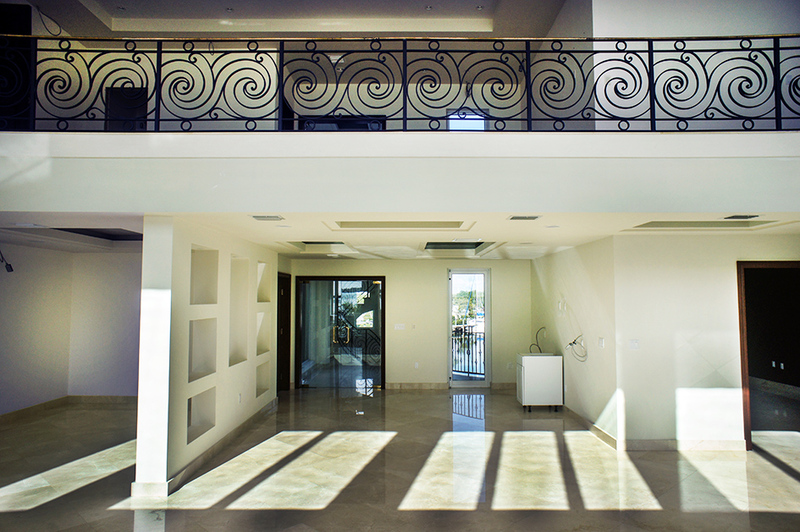 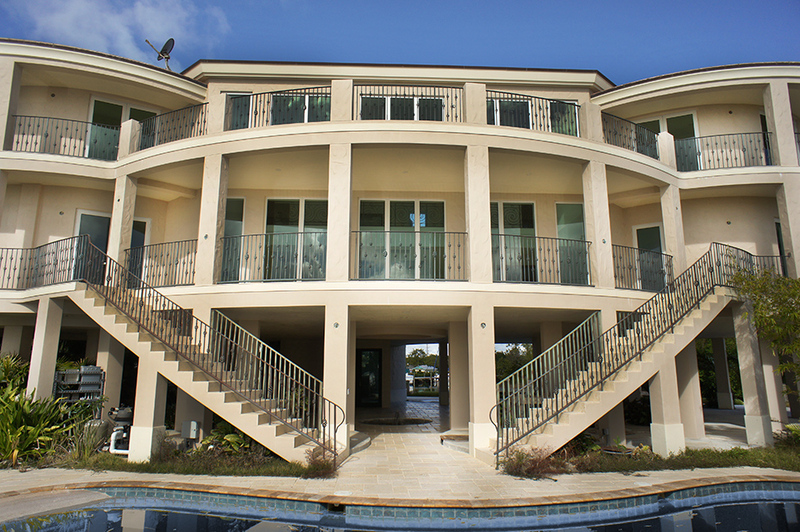 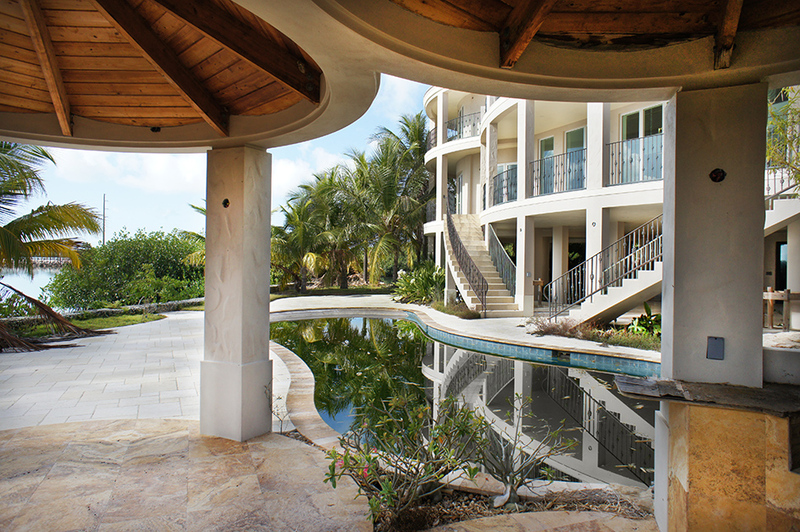 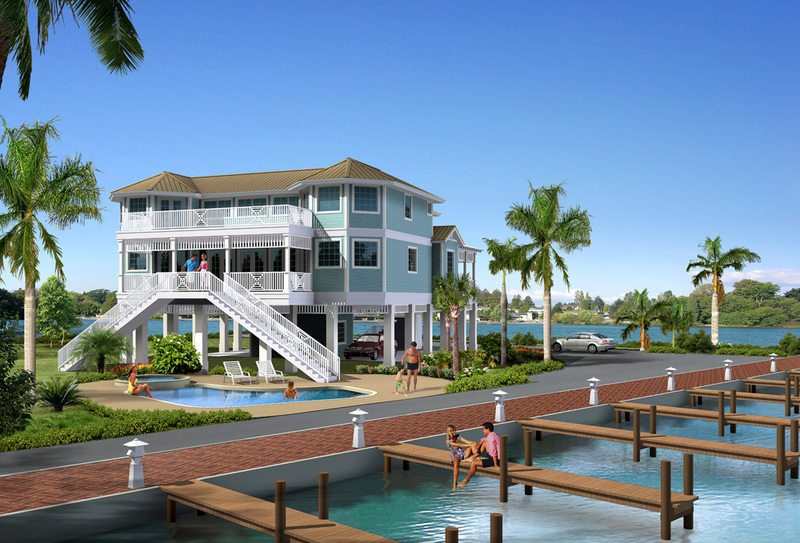 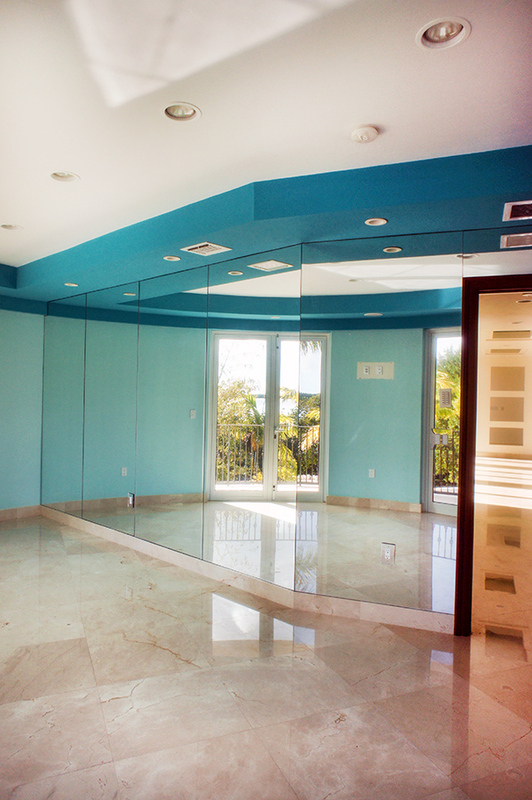 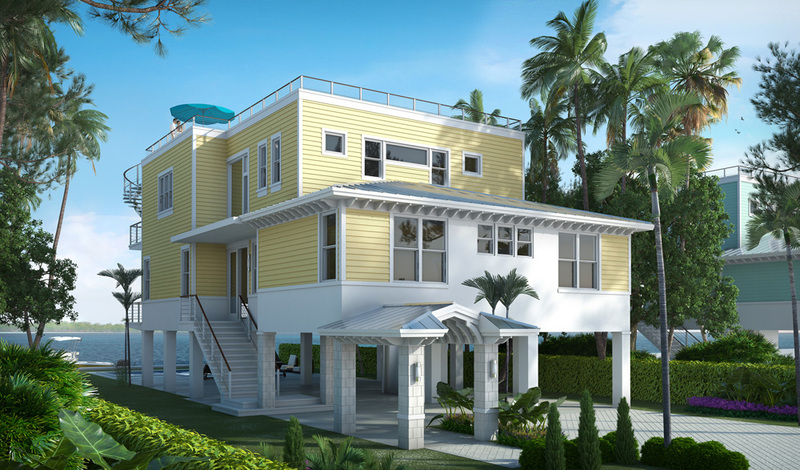 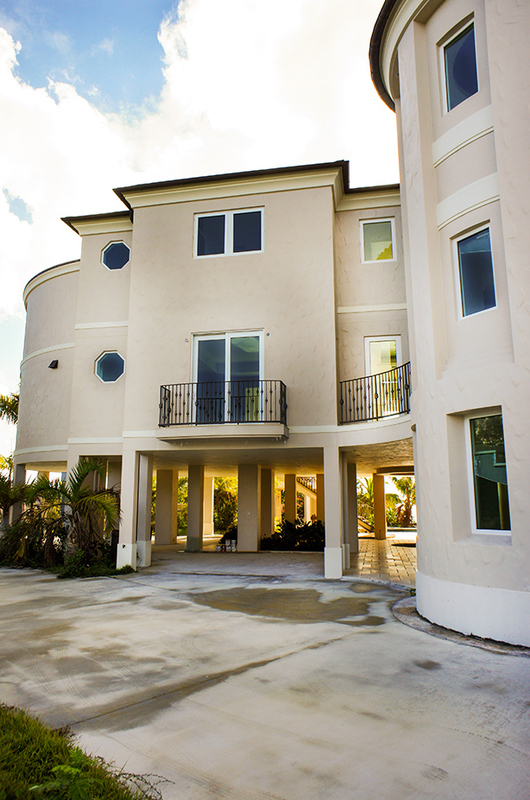 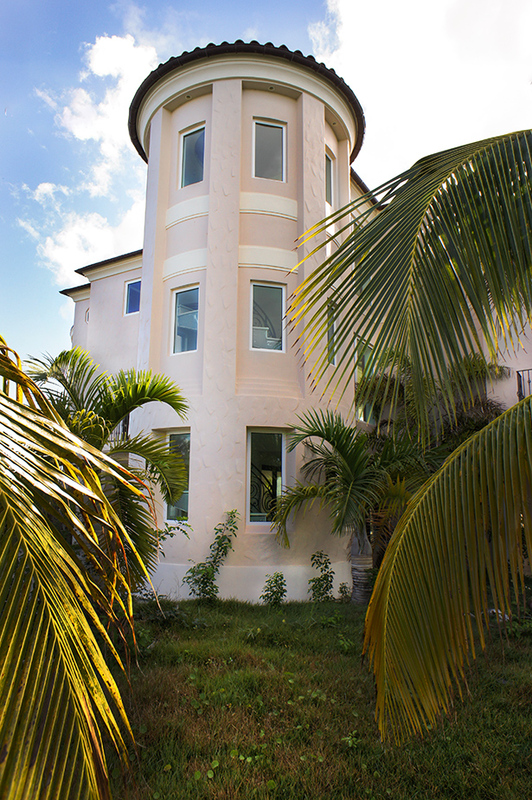 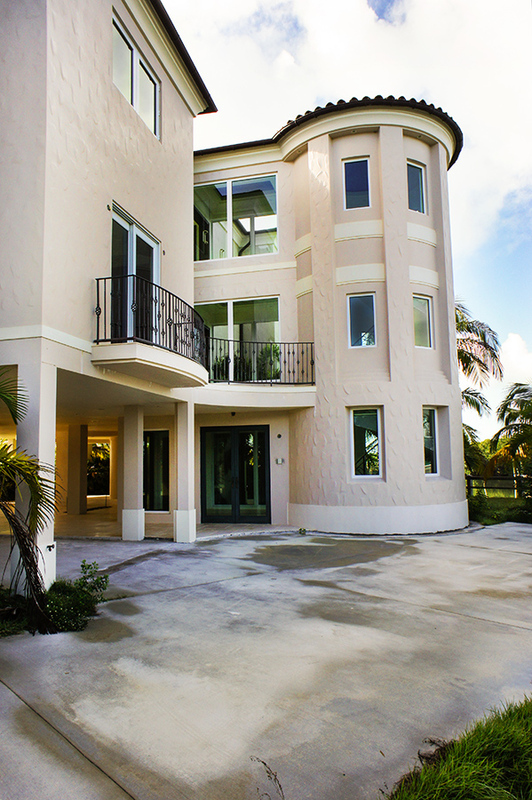 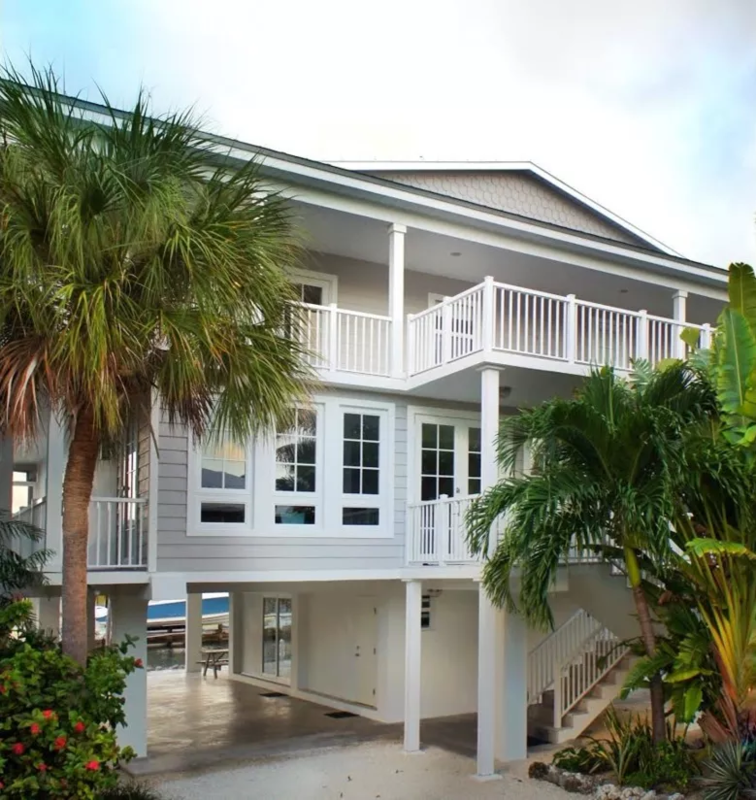 The more formal front side of the home features a lighthouse tower stairwell with bridge and main entry and foyer connecting to the main living area creating a transition protecting the home from the marina atmosphere and helping to project the main interior living spaces into Barnes Sound. 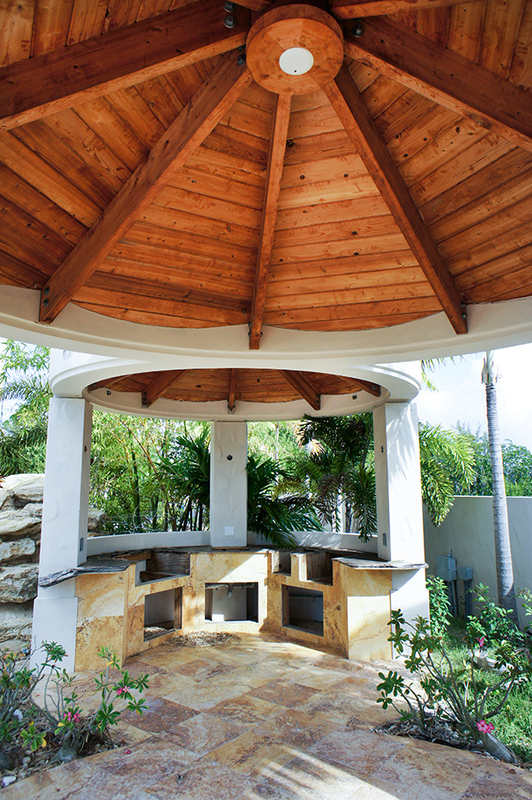 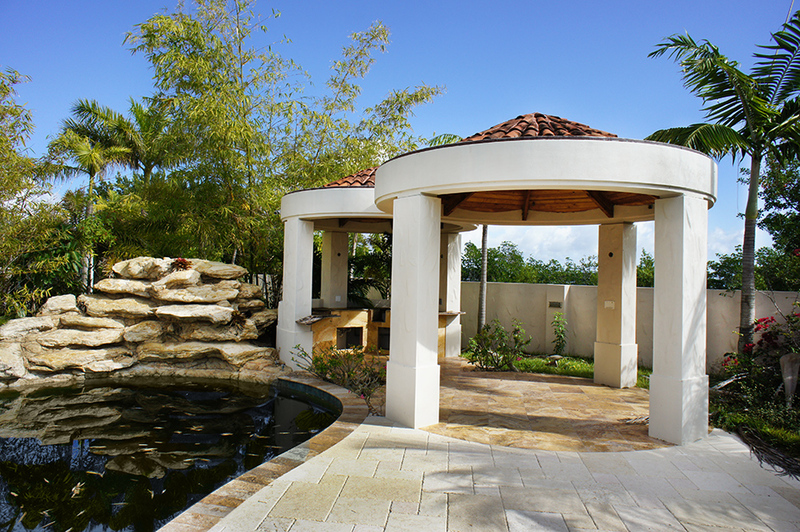 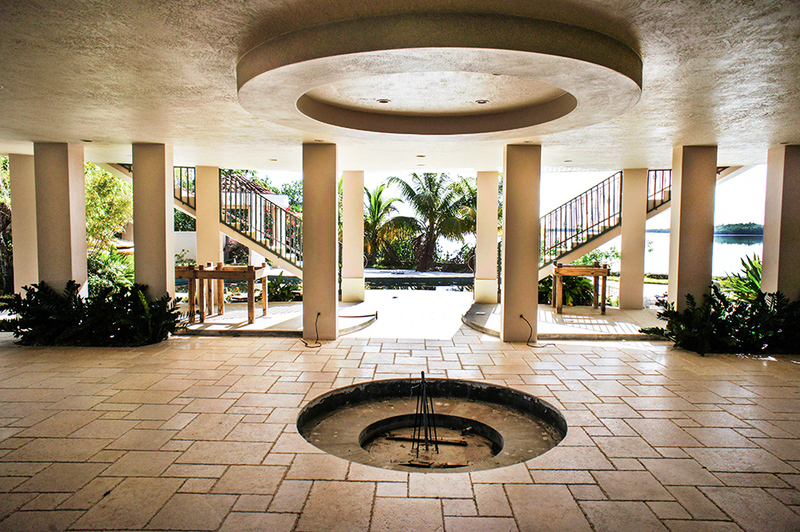 The Infinity shaped pool and barbecue Gazebo creates a dynamic sense of fun and integration with the shoreline.